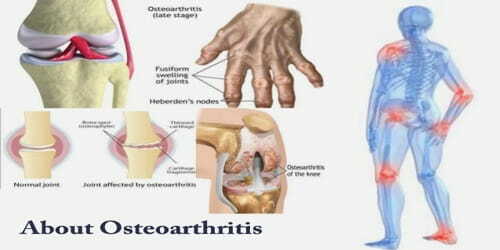 Definition: Osteoarthritis (OA) is the most common type of arthritis and is seen especially among older people. It is also known as degenerative arthritis. Osteoarthritis mostly affects cartilage (KAR-til-uj), the hard but slippery tissue that covers the ends of bones where they meet to form a joint. It affects around 10 percent of men and 13 percent of women aged over 60 years. Osteoarthritis can affect any joint in our body. It most often happens in the hands, hips, and knees. It causes the cushion layer between our bones (called the cartilage) to wear away. This happens slowly and usually gets worse over time. Osteoarthritis is the most common form of arthritis, affecting about 237 million (3.3% of the population). Among those over 60 years old, about 10% of males and 18% of females are affected. It is the cause of about 2% of years lived with disability. Causes, Sign, and Symptom of Osteoarthritis: The exact cause of osteoarthritis isn’t known. It may be hereditary, which means it runs in families. It seems to be related to the wear and tear put on joints over the years in most people. The main symptoms of Osteoarthritis (OA) are pain and difficulty moving the affected joints. In smaller joints, such as at the fingers, hard bony enlargements, called Heberden’s nodes (on the distal interphalangeal joints) or Bouchard’s nodes (on the proximal interphalangeal joints), may form, and though they are not necessarily painful, they do limit the movement of the fingers significantly. 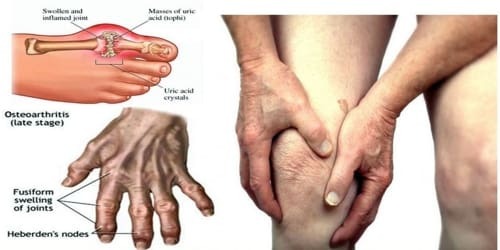 Diagnosis and Treatment of Osteoarthritis: No single test can diagnose osteoarthritis; however, sometimes doctors use tests to help confirm a diagnosis or rule out other conditions that could be causing the patient’s symptoms. The doctor may order an X-ray of the joint that is causing the patient’s problems to see what is causing the pain. Blood tests can help rule out other forms of arthritis. It’s important to stay as active as possible. When joints hurt, people tend not to use them as much. Then the muscles get weak. Exercise keeps our muscles strong and helps us stay flexible. Dancing, weight-lifting, swimming, and bike-riding are good exercises for people who have arthritis. The doctor will probably recommend taking over-the-counter medicines to manage the patient’s pain. 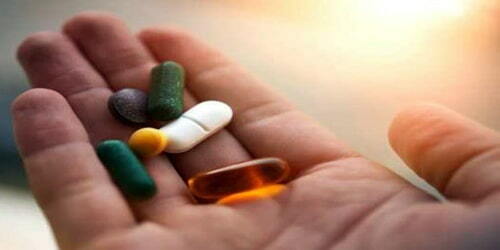 They include aspirin, ibuprofen (one brand name: Advil), and naproxen (one brand name: Aleve). Other pain relievers may help you feel better, such as acetaminophen (one brand name: Tylenol). Surgery is not usually necessary, but it may help if OA affects the hips, knees, joints, and the base of the thumbs. It is only usually recommended if other therapies have been ineffective, or if one of the joints is severely damaged.